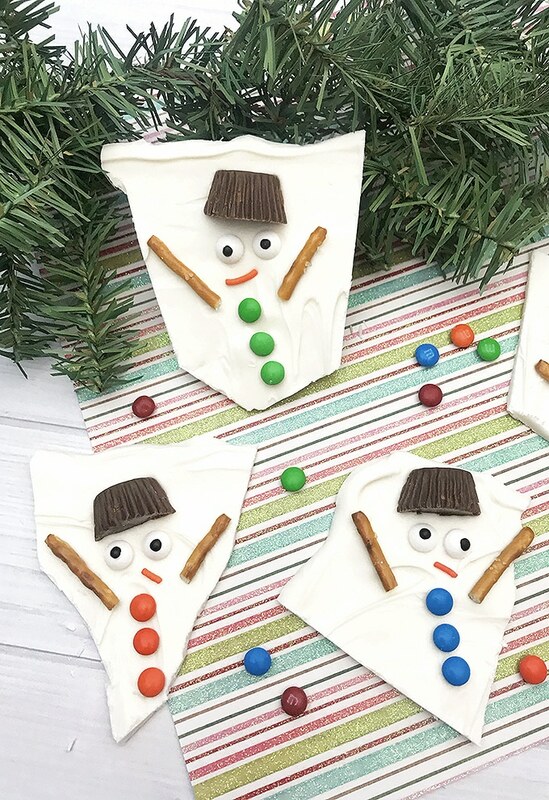 Melted Snowman Chocolate Bark is an adorable sweet treat that is super easy to make and fun to eat. Perfect for holiday gift-giving! 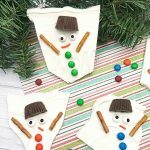 We kicked off Christmas here on the blog back in September and we’re back this month with plenty more holiday ideas and inspirations. I hope you’d join me on our special series because there’s a lot of fun stuff to come! If you’d like to check out what we have so far, here below are a few of my top choices. 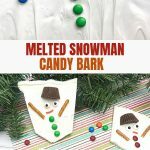 The newest addition to our growing list of fun food and crafts is this melted snowman bark which happens to be my most favorite at the moment. 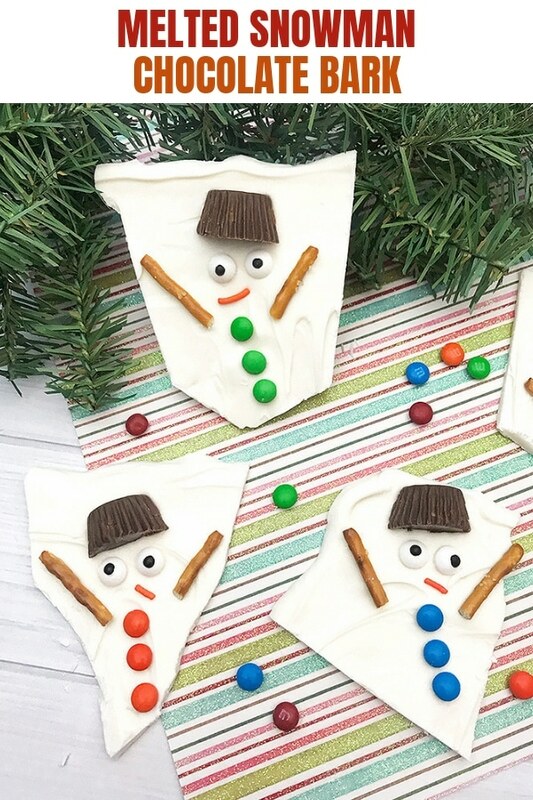 Not only does it make a delicious sweet treat, but it’s also a great holiday gift option. 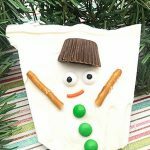 Seriously, what says winter season better than a Snowman? 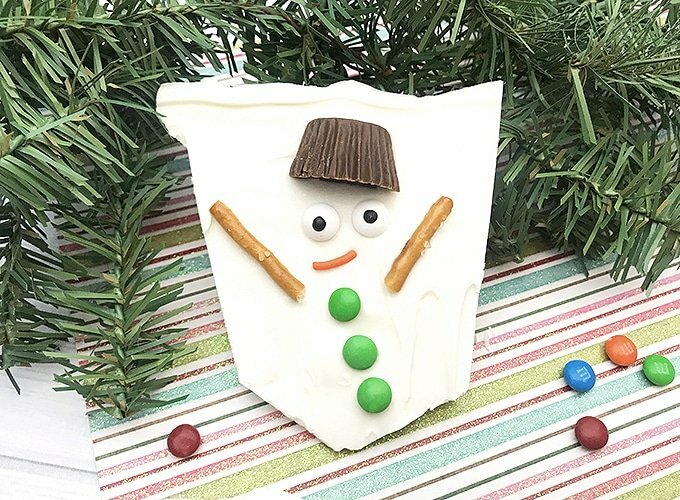 This festive candy bark is as fun to make as it is to eat; the whole family will have a blast putting the snowmen together! 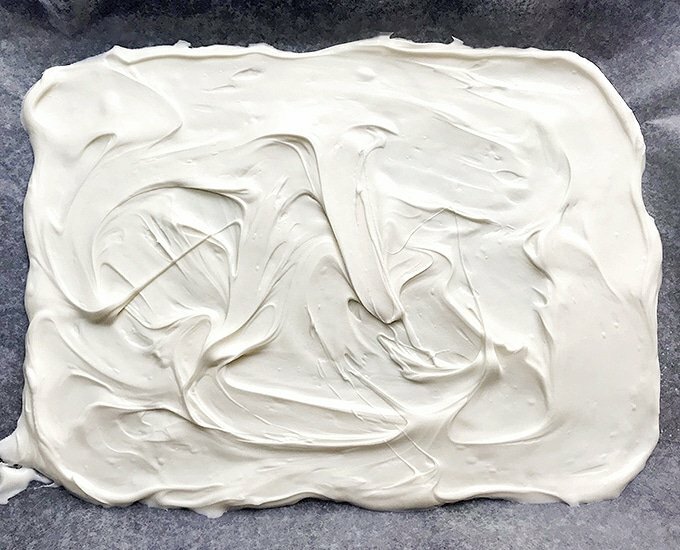 In a small microwave-safe bowl, microwave white candy melts in 30-second increments, stirring occasionally until melted. 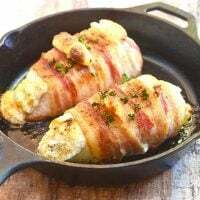 Pour the melted chocolate out onto the parchment paper and using the back of a spoon, spread evenly to about 1/4″ thick. 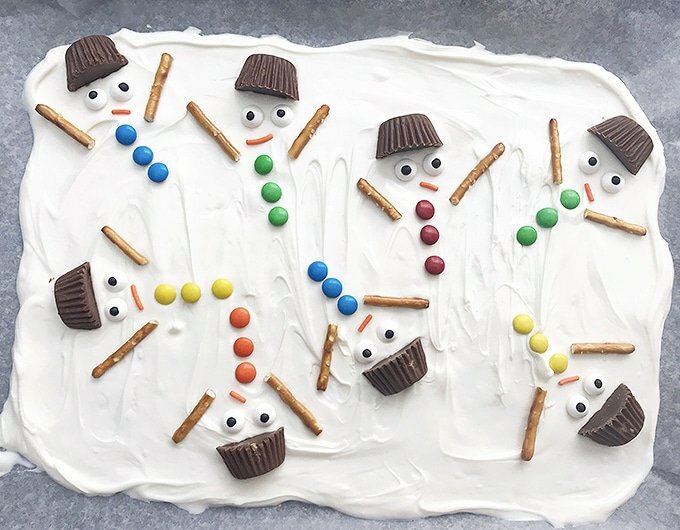 To make the snowman, place 2 small candy eyes on the melted chocolate and small peanut butter cup half on top of the eyes to resemble a hat. 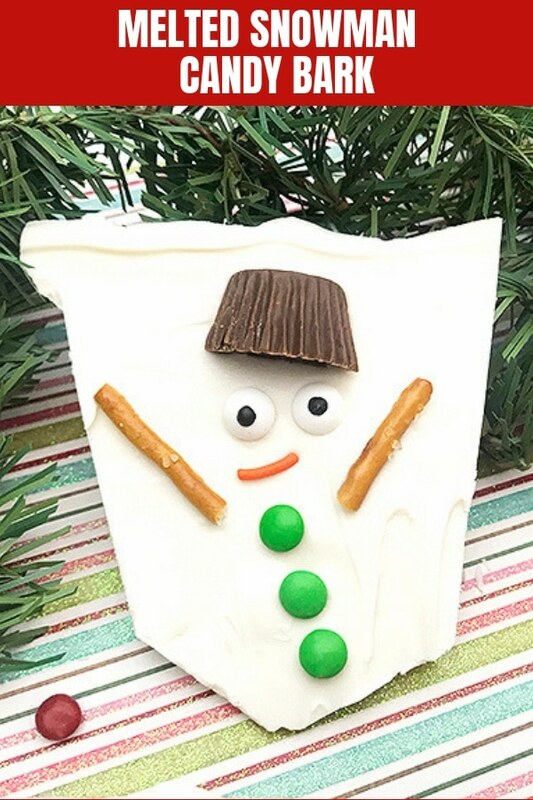 Place an orange sprinkle below the candy eyes to resemble a nose. Place 3 mini M&M buttons below the nose to resemble buttons and 2 pretzel halves on each side to resemble arms. 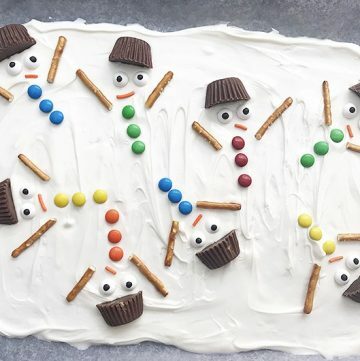 Repeat the process, making sure to leave a little bit of room between each snowman in order to break into pieces. 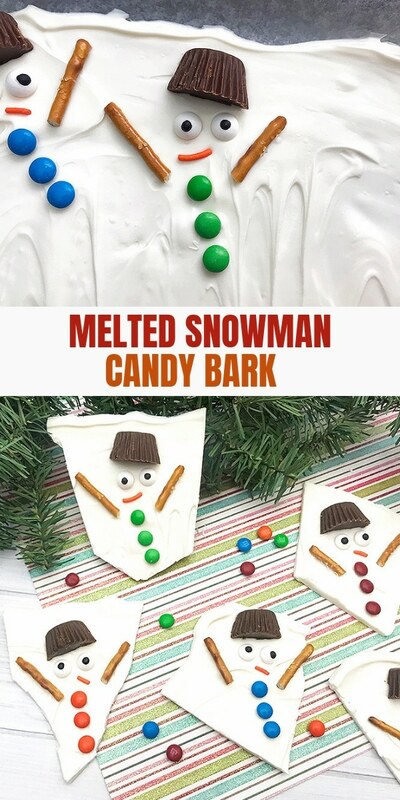 Allow the chocolate bark to completely set and then carefully break to separate into individual snowman candy barks. 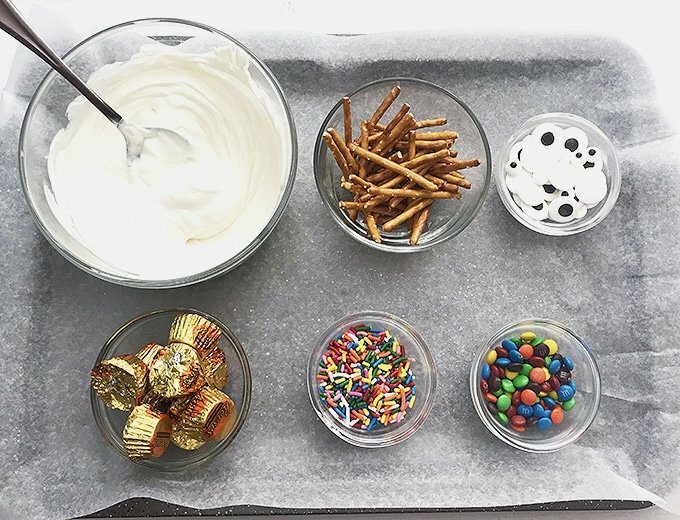 In a small microwave-safe bowl, microwave white candy melts in 30-second increments, stirring occasionally until melted. 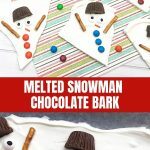 Pour the melted chocolate out onto the parchment paper and using the back of a spoon, spread evenly to about 1/4″ thick. 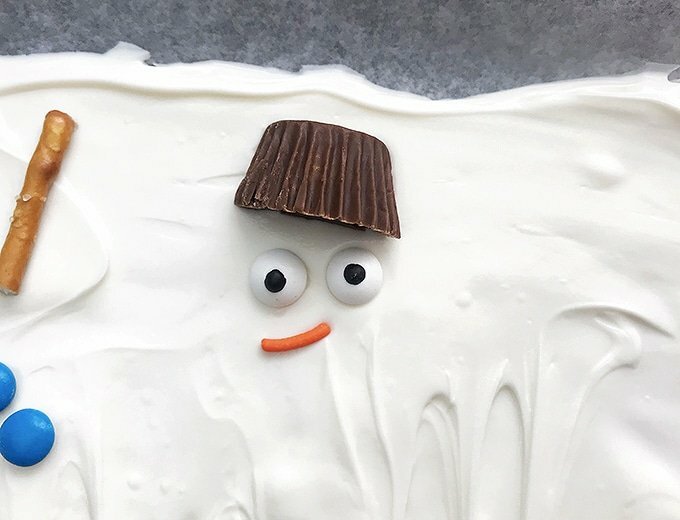 Place an orange sprinkle below the candy eyes to resemble a nose. 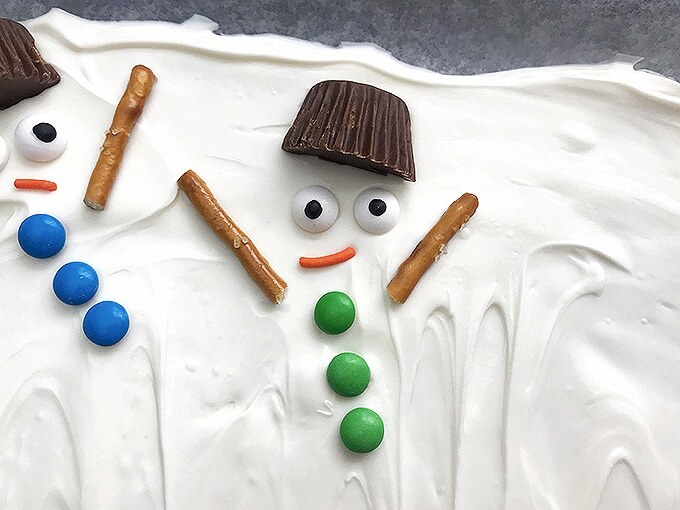 Place 3 mini M&M buttons below the nose to resemble buttons and 2 pretzel halves on each side to resemble arms. 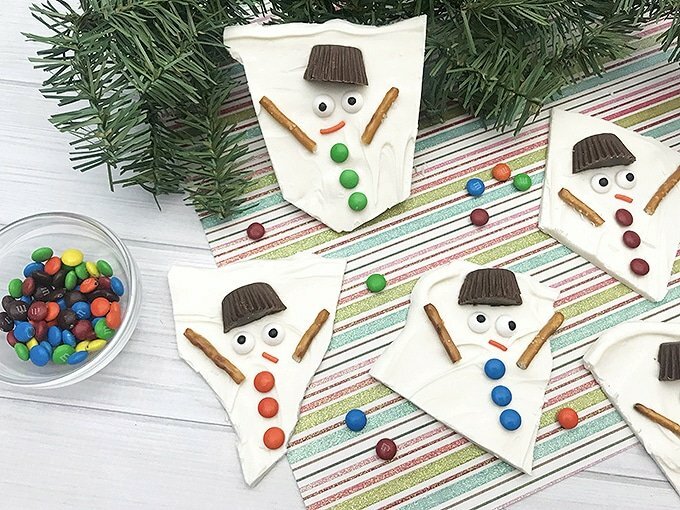 Allow the chocolate bark to completely set and then carefully break to separate each snowman.